Are you finding it a challenge to keep track of the hours spent on a project? Does critical documentation and detailed information fall through the cracks? Paper based versions or Excel spreadsheets are clearly poor solutions. 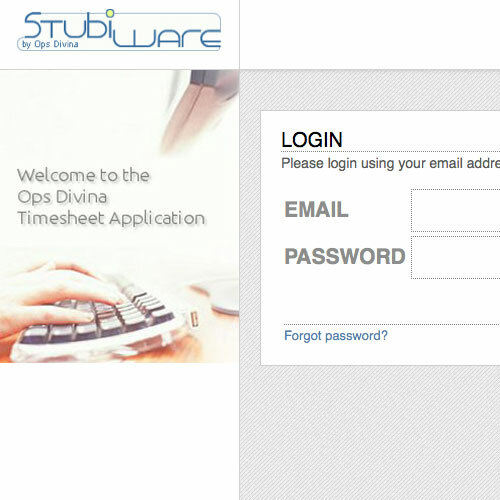 Our timesheet application lets employees enter their hours in a database on a web server that is both convenient and user friendly. Consultants or Freelancer can enter their hours from wherever they are and administrators can create reports for employees, departments or clients in various ways over any period. The system contains timesheet application, ticket system, files repository and other important features for any type and size of business. Online organizer that helps to simplify time management process and increase staff management efficiency. Project cost and billable time calculation. Powerful real-time reporting allows to analyze staff performance at all company levels. Reminder functionality - keeps employees as well as managers posted about uncompleted daily and weekly timesheets. The system is focused on a company internal tasks management. Easy solution for complicated process of project maintenance. Email support keeps updated all participants of a ticket. Ability of external tracking of the project activity without having an account. Allows to store and share all important data on the server, add messages to each file, create a connections between files and tickets. Stubiware combined a support of the most complicated business processes in one system and allows managers of each level to focus on the most important things!